For those of you in the midwest, USFG Bloggers has come up with a great deal for everyone. Keep reading for a special discount offer below. It's summertime and everyone likes to enjoy go-karts, golf, games and more. I haven't been in several years, but I'm going to be taking advantage of the offer below and then I'll post a little review for everyone. Create fun memories with your family and friends while enjoying go-karts, miniature golf, laser tag, Spaceball, Jumpshot, arcade games, batting cages and Water Wars---a water balloon game. Come for a game of mini golf or stay to enjoy all the fun with one of the wristband packages ranging in price from $10-$22. Through Aug 28th take advantage of Mid-Week Madness and purchase an EXTREME wristband at half price----only $11. My Readers Purchase an EXTREME wristband (regularly $22) at the Late Night Special pricing of only $15. Enjoy all day fun with unlimited go-karts, miniature golf, laser tag, Spaceball, Jumpshot and Water Wars. 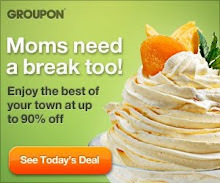 Click here for the coupon to get the special pricing. Take advantage of this fantastic offer while it lasts! 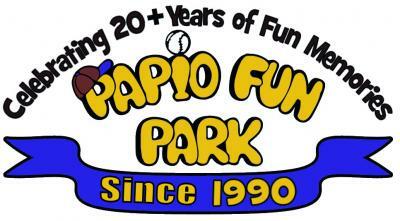 Papio Fun Park is a super fun spot and this is a great way to spread the word. And it's a local family owned business - win win!